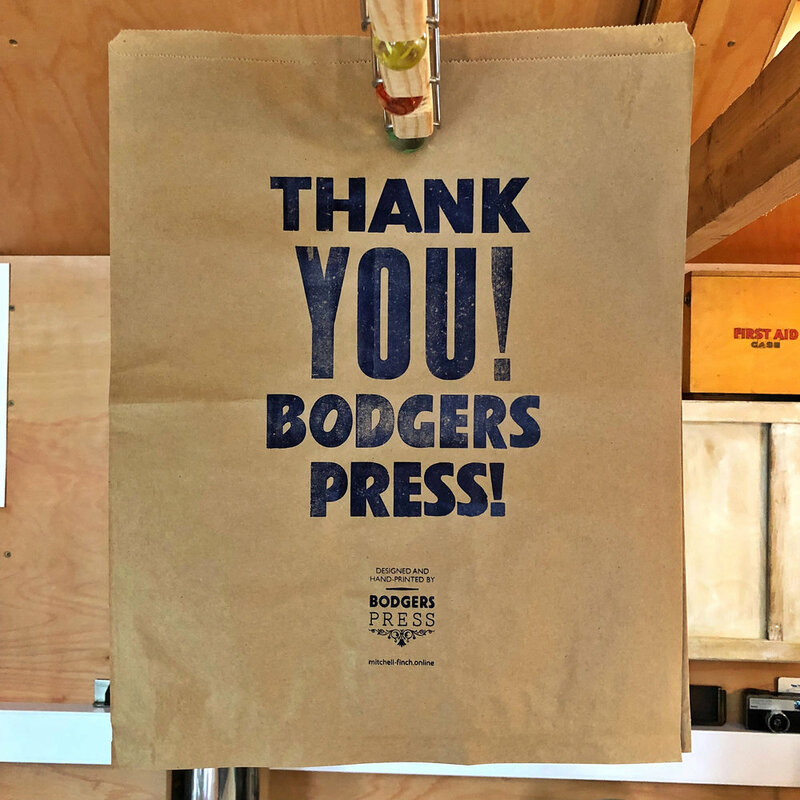 In 2017 we converted a large garden shed into a cosy, light, print studio and the Mitchell-Finch Press was born! This adventure in print actually began many years ago, when we were first taught to compose metal type during our first year at Norwich School of Art. However, by the time we left college at the end of the 1970’s, to work in the design industry, typesetting had already begun the slide into digital. So this is a return to my roots, getting away from the computer screen to produce work manually. 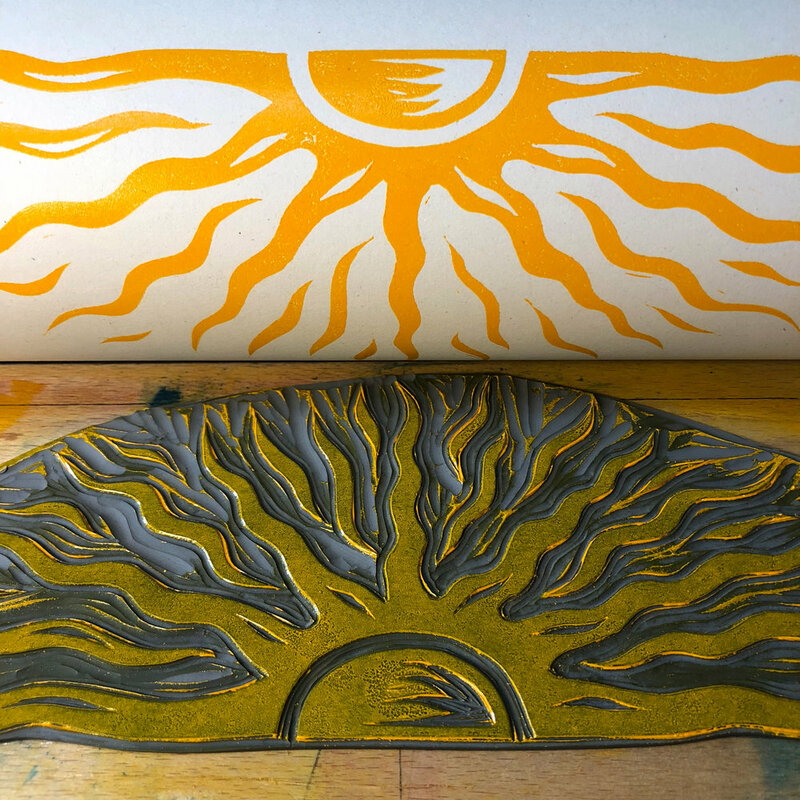 Working with vintage metal and wood type to express my designs by hand-printing on vintage printing presses. Getting inky and enjoying it. I have gathered a small collection of wood and metal type and presently print on an Adana 8x5 and a Farley flat-bed proofing press. There is a larger treadle press awaiting restoration and I am always on the lookout for more letterpress equipment. As I produce prints I will add them to our shop. I am always happy to undertake bespoke letterpress printing projects, anything from business cards and stationery to A3 posters - just get in touch and we can work something out! 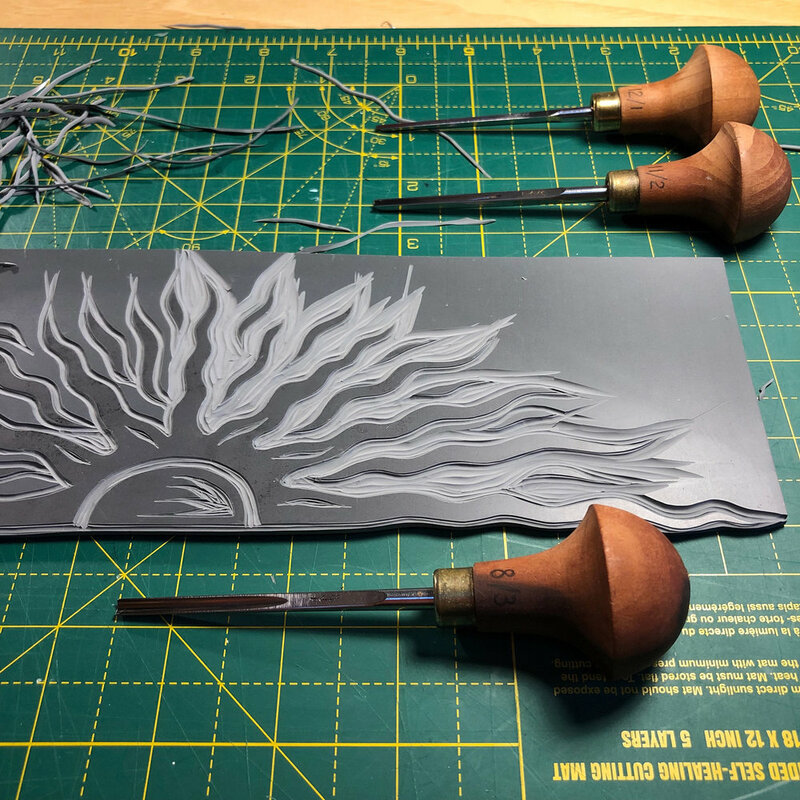 I'm also keen to share the letterpress printing experience, so if you would like to come along for a day to learn about printing click this link to find out more letterpress experience days. I have space and equipment for one or two people at a time.